Detroit is the home of the US automotive industry, so it’s also known as Motor City. It has its history and roots steeped in innovation and a legacy in the form of talent, universities and research centers. 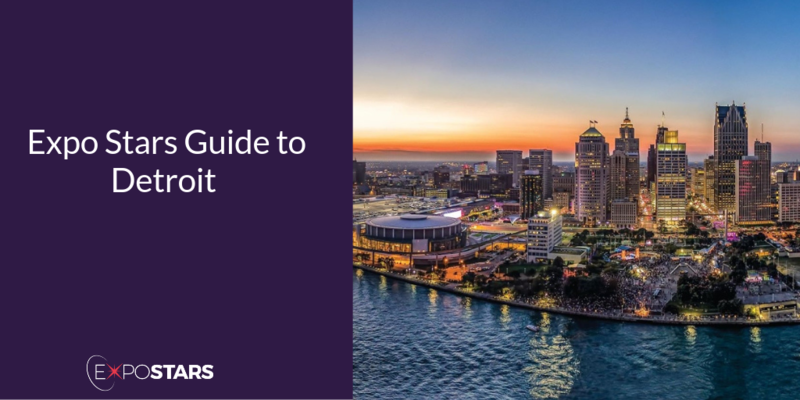 Startups and new businesses can really get a boost in Detroit, they can fast become big fish in a small pond and get unparalleled attention and support from the community, seasoned business leaders, city and state government. Once you’ve flown into Detroit Metro Airport you’ll need a car to get around town. Cobo Center - Formerly known as Cobo Hall, the convention center is located along Jefferson and Washington avenues in downtown Detroit, Michigan. Detroit Institute of Arts. World famous and known as a mecca for art lovers, the Detroit Institute of Arts has a collection of more than 65,000 artworks. Motown Museum. Learn the story behind the music at Hitsville USA. Eastern Market. One of the oldest and largest year-round markets in the U.S. It takes place every Saturday, offering an eclectic mix of local food, art and music. Albena. Expect beautifully plated interpretations of Great Lakes cuisine with dishes like tomato and stone fruit sorbet, a riff on chicken salad and okra caviar with Japanese eggplant. Chili Mustard Onions. Expect vegan Coney Island staples like meatless coney dogs and hani, alongside a vegan burger dubbed the Big Mock, vegan chicken parmesan, and chili cheese fries.